Earlier this week I needed to do some aerial photography for a client in Green Bay, Wisconsin. The minimum rental for the Cessana 172 was an hour so I decided to take the spare time after I completed the clients photos to fly around the snow covered rural landscape near Green Bay and the waters of the lower part of the bay of Green Bay to look for some artistic shots. Even though I did the shoot at the time of the day when the sun is at it’s highest peak it still casted some very long shadows. 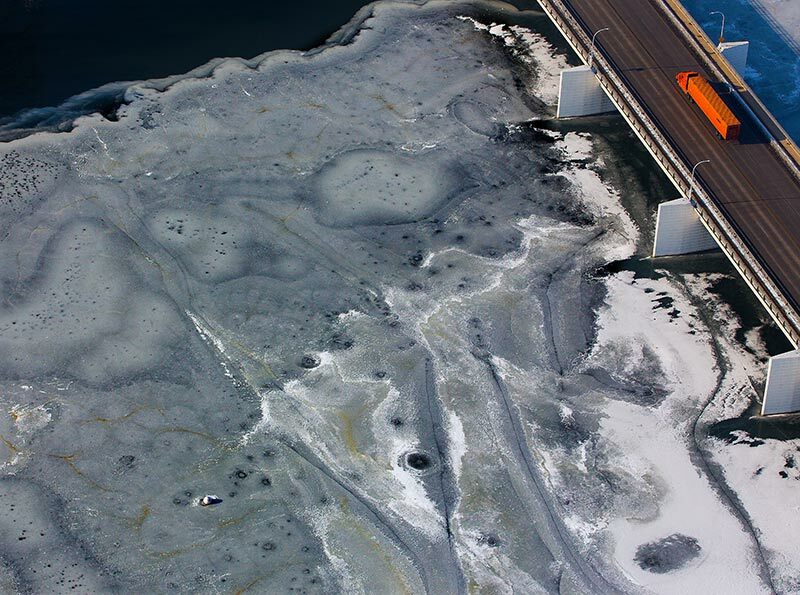 If you’re going to do winter aerial photography remember to bring a pair of gloves. With a high winged plane like the Cessna 172 you can open up your window. Once you point that camera out the window your going to get hit with some winds in the range of 80 mph from the forward speed of the plane. So with the temps in the mid 20s and an 80 mph wind your dealing with a wind chill well below zero. A Schneider National truck with an intermodal trailer crosses the Fox River in De Pere, Wisconsin. 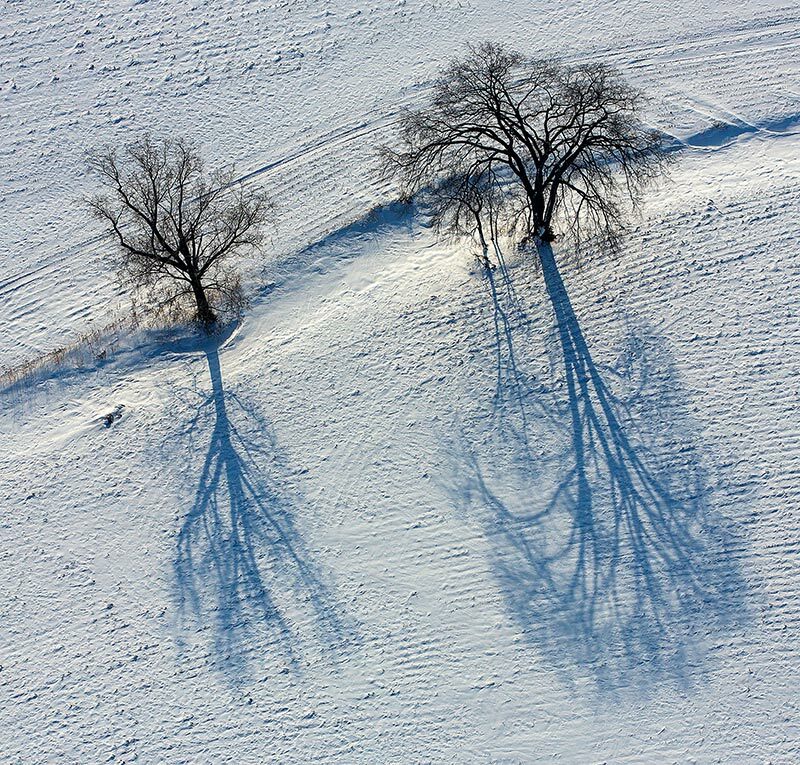 Two trees cast their shadow in a snow covered farm field near Bussels in Door County, Wisconsin. 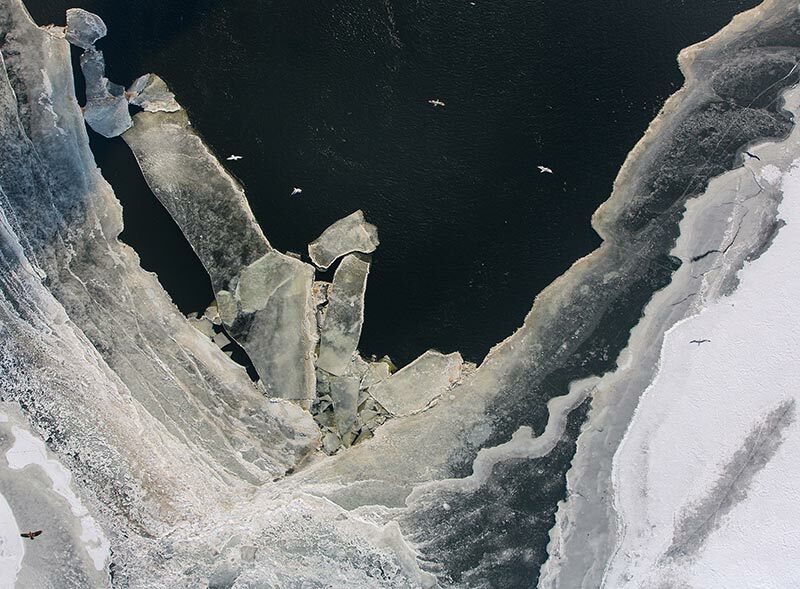 Birds fly over broken up ice in the bay of Green Bay near the mouth of the shipping channel in to the Fox River. 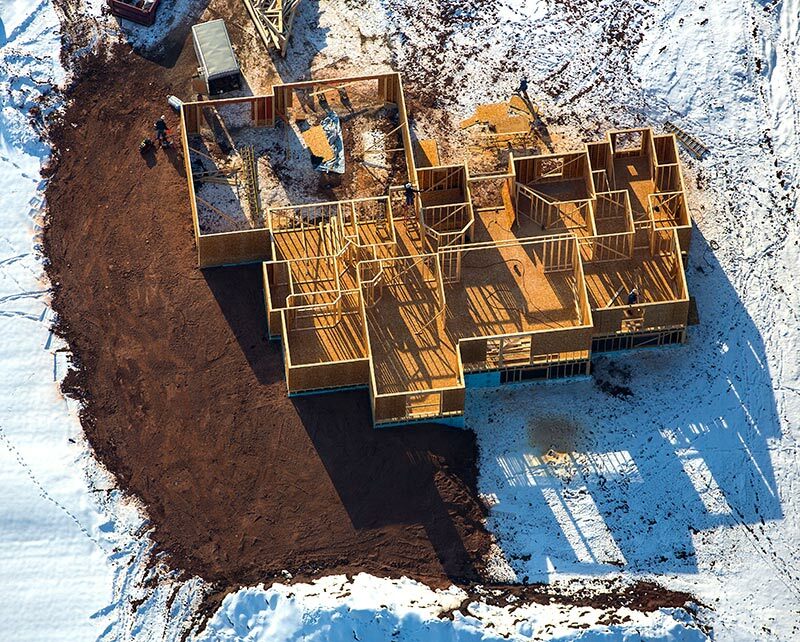 The frame of new house goes up in De Pere, Wisconsin. « Photos Of The Green Bay Packers Defeating The Minnesota Vikings In The NFL Playoffs.